Rumours that Euro Car Parts was on the verge of being sold to an American outfit for Â£250 million circulated weeks before the deal was finally signed. The grapevine buzzed with the idea at the Groupauto conference in Brighton in September. When Unipart sold a 50.1 percent controlling stake in its automotive arm to a Dutch private equity firm a few days after the conference, it seemed the grapevine might have got its wires crossed. As it turns out, the aftermarket bush telegraph has had near digital quality reception on the deal for ECP first met its new owner in February this year. 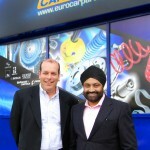 So Sukhpal Singh has sold ECP to multi-billion dollar American crash repair giant LKQ for Â£225 million. If ECP hits performance targets in 2013 and 2014, the payday increases by a further Â£55 million to Â£280 million. The grapevineâ€™s price of Â£250 million is a mere Â£2.5 million off the middle of the two figures, deeply impressive. 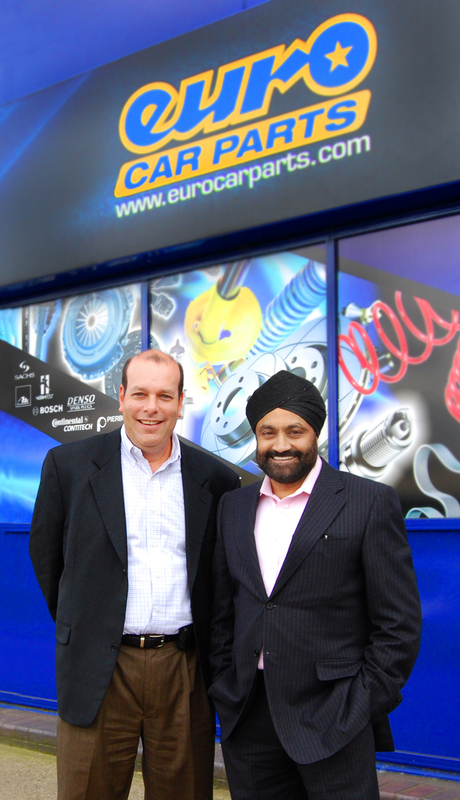 In our exclusive interview with Singh and Rob Wagman, president of LKQ, we find out more about the sale and what the aftershocks of seismic deals like this might be for the aftermarket. With Dollars, Yen, Euros and venture capital pouring into the aftermarket, itâ€™s difficult not to wonder: Whoâ€™s next? Youâ€™d expect ECP and LKQ to say theyâ€™re like two peas in a pod, and indeed they do. Wagman says: â€œWhen I went back to my board, I told them ECP was identical to LKQ but with British accents. â€œThis was the 132nd deal weâ€™ve done since we were formed, and the second biggest ever. The first 131 were much more difficult in terms of cultural assimilation. The similarity in the companyâ€™s two slogans is striking indeed – â€œAny Part For Any Carâ€ for Euro Car Parts and â€œAny Part, Any Car, Any Whereâ€ for LKQ. To some it would seem only natural that the two would eventually join forces. But, there is a big difference in the two companies, LKQ the junior of ECP by twenty years, have financed their growth to this point. LKQ is heavily financed and borrowed more cash to buy ECP, a company which Singh has always tried to grow by reinvesting profits, not by going to the banks. In all, LKQ increased its credit facility to $1.4 billion on September 30 this year to bankroll the deal, but Singh admits that he, too, was facing the prospect of turning to finance to continue his growth. â€œThe investment strategy that we were continuing with would have meant we would have seriously got involved with the banks, and done some heavy borrowing, which was something I was trying to prevent because usually we have grown organically. â€œThe climate out there at the moment with the banks is not good. They lend billions to those who donâ€™t pay it back, but when it comes to the middle market they donâ€™t want to give and charge high interest rates. Thereâ€™s palpable relief in Singhâ€™s voice at times that hints, perhaps, at a nervousness of financial institutions and the continuing turmoil in the world economy. Is he less stressed since he struck the deal? â€œYou know what? It was lonely at the top, and now Iâ€™ve found somebody whoâ€™s a friend. â€œI want to talk to someone â€“ please – somebody help me. Just to talk through things and get some opinion and guidance â€“ thatâ€™s invaluable. Itâ€™s probably fair to say that may of you reading this might think twice, at least, about turning up to work on Monday if you had a Â£225 million payday..
Itâ€™s also probably fair to say that Singh is different, like many other energetic entrepreneurs in the industry, but LKQ has another reason for him to stay at the helm – the prospect of not-insignificant further payments totalling Â£55 million in 2013 and 2014 if ECP delivers on certain targets. Wagman wants to keep him and the rest of the team in place, and after investing so much who can blame him? What are the targets for the extra payment, however? LKQ has made a lot of money out of convincing insurers and car owners to use more affordable alternative parts than the OEM bit for fixing up crashed cars. Theyâ€™ve worked closely with insurers to break the connection between franchises and motorists so bills can be cut. LKQ makes money, insurers save on bills and motorists save with premiums. The problem is that currently in the UK less than 10 percent of repairs are done using the kind of aftermarket parts, perhaps as little as three to five percent Wagman now estimates, which ECP already stocks and which account for between eight and 10 percent of its turnover. This must, then, be the driving target for the additional Â£55 million? As it turns out, both say it isnâ€™t. â€œThose targets have nothing to do with this,â€ says Singh. â€œThis vision is not part of our target, as such, but itâ€™s a vision we are absolutely passionate about and want to achieve. â€œItâ€™s an area where there will be hardly any competition because nobody understands it. Now two of the best have come together. Thereâ€™s nobody else who can deliver it apart from us. â€œWe donâ€™t want to have a premature launch, because you only get one chance. We will study well, pilot well and then we will roll out. Wagman agrees: â€œIâ€™ve got a plan to grow the business as it was. If I can bring in collision damage repair? Fantastic. If I donâ€™t? Thatâ€™s okay too, because the model that ECP has developed is great. It could be fantastic for the whole aftermarket if someone like ECP and LKQ could help to convince consumers to use independents and aftermarket parts to repair crash damaged cars considering the value of the market. Wagman talks about taking 10% of it for ECP in the future and making a tiday Â£200 to Â£300 million as a result. Insurers wonâ€™t need much convincing. LKQ has years of experience doing that to bring to the deal, but its ambitions donâ€™t stop with prangs. Wagman says: â€œThe US has 240 million vehicles. There are 265 million vehicles in Europe. What an opportunity! Weâ€™re only touching 35 million of it here in the UK so the possibilities are endless. â€œWe didnâ€™t buy ECP to stop at the UK.Â This wasnâ€™t our first toe in the water, and now weâ€™re going to go hide in the US were we feel comfortable. Singh has the comfort of cash in the bank, a backer used to financing and ready to invest to expand. That sort of confidence must have helped when LKQ bought their offer to the table. Even if there were scouts out there youâ€™d expect Singh to say nothing about it. That wouldnâ€™t make any sense at all for him. The aftermarket loves to gossip and swap rumours (which often turn out to be fact as in this case), and Wagman is keen to squash one notion: â€œWeâ€™ve heard in the last weeks that Sukphal is going to retire, that heâ€™s going off to the beach to enjoy those drinks with fuzzy umbrellas in them. â€œI can assure you that this deal was brought because of the management team. Weâ€™ve walked away from many deals because the manager wanted to have drinks on the beach. â€œIf he does go, Iâ€™ll be going with him . With some reports,â€ jokes Wagman. â€œWeâ€™ll open a branch there,â€ laughs Singh.